We'd love to stay in touch with you about latest developments, new feature releases, and relevant news and reviews. 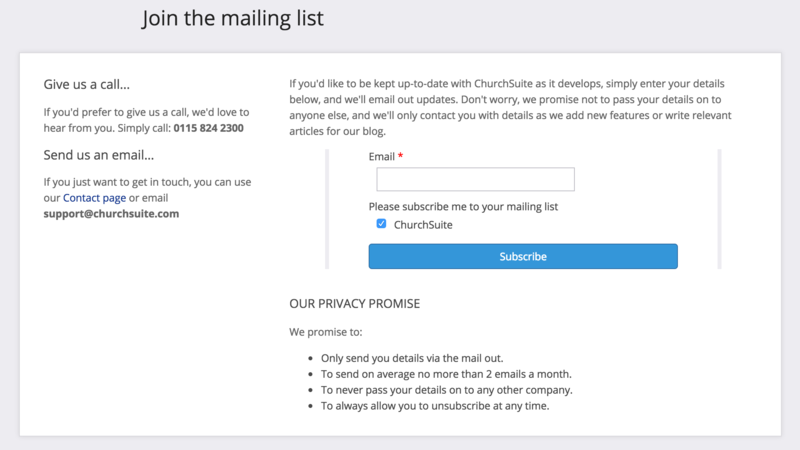 To subscribe to our email mailing list, click here and fill in email address, remembering to tick the "ChurchSuite" list. NB: You can unsubscribe at any time using the link in the footer of any of our emails.